The ‘Occupy London‘ protesters stage a reading of the Charles Dickens classic “A Christmas Carol” on the steps of St Paul’s cathedral, drawing parallels between inequalities in Victorian Britain and now. This recording of the last half hour begins with the Ghost of Christmas Future. The camera is shaky, but not bad for hand-held from the back of the audience, and the sound is OK. As for the readings, they’re brilliant! Give it a couple of minutes and you’ll forget the technical flaws. They didn’t come to get arrested. “Occupy The Caucus” activists said they just wanted to have the campaigns of Ron Paul and Barack Obama listen to what they had to say. 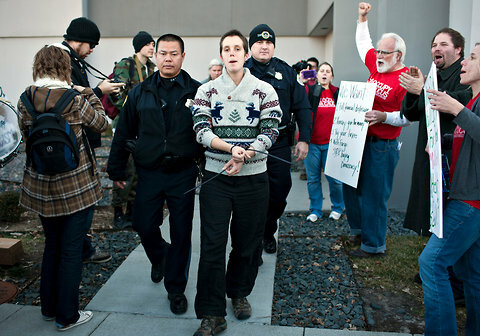 But at both presidential campaign headquarters in the Des Moines area, Occupy was locked out and people were eventually arrested when they refused to move away from the campaigns’ front doors. 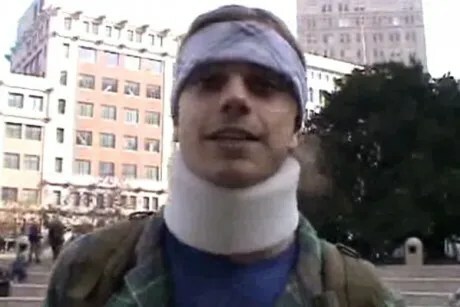 This video from the protest outside Democratic Party headquarters was shot and edited by one of Occupy’s supporters Roger Routh. He is also a journalist in the Des Moines area. What did the group want to tell the candidates? In Occupy “mic check” fashion the crowd repeated their bullet point list as one of their organizers spoke. People were then asked to come forward and say why else there were there today. “Under Obama more immigrants have been deported than under the eight years of Bush”, said one woman. “Immigrants help fuel our economy and we shouldn’t use them as scapegoats. Another woman said “I am here because education shouldn’t lead to debt slavery. That is wrong. That is sick. And we are one of the only free nations where that happens. The Associated Press reports five protesters were arrested outside Ron Paul’s headquarters in Ankeny, Iowa and 12 more were taken into custody outside the Democratic Party headquarters in Des Moines. Occupy Facebook? It’s not just a slogan anymore! 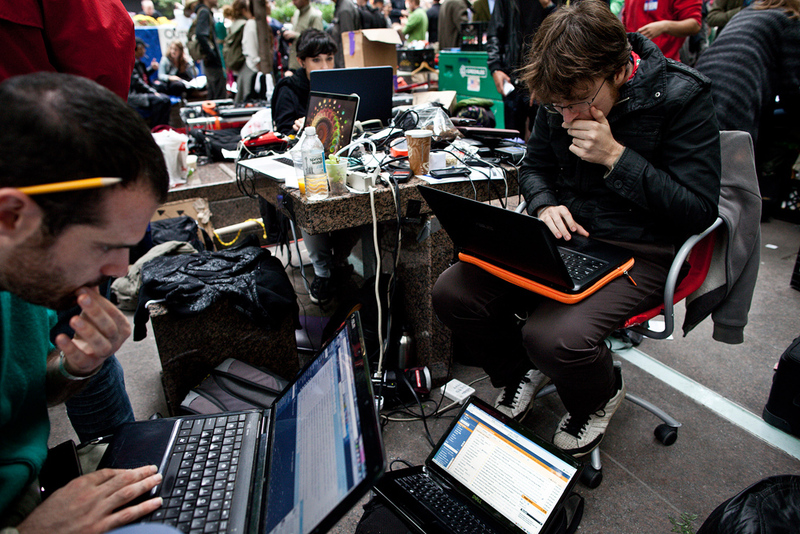 Watch out Facebook, the Occupy protest is making its own social network. The Global Square is expected to launch in January 2012, providing a secure space for Occupy protestors to organize, share, and meet fellow protestors, according to its developers. It will also boast a Facebook-like news feed. Unlike Twitter and Facebook however, new Global Square members must be sanctioned by existing ones before being accepted. This news comes just days after Twitter reports it was subpoenaed by the Massachusetts DA’s office for Occupy Boston account information. Developers hope to get the site up and running as soon as January, giving protesters somewhere to occupy during wintertime: their computers. We believe The Global Square could make a significant contribution to the consolidation of the assemblies and the development of our global movement. It is important to note, however, that the project will require significant funding, as well as a team of full-time professional developers. 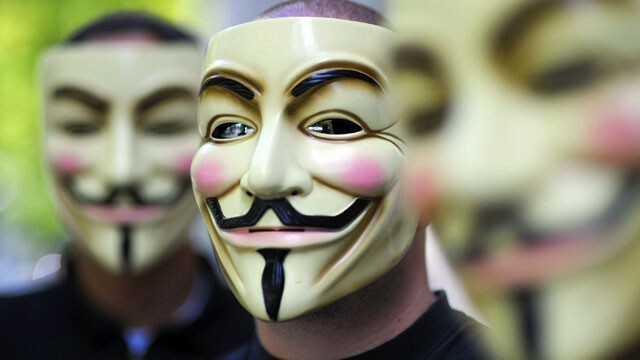 As we know that Occupy Wall Street plays an exemplary role within the movement, we are turning specifically to you for help in further refining this idea and initiating the search for funds and developers for a beta-version of the platform. We would be very interested to hear your ideas, suggestions and criticisms of this proposal. We can be reached at info@theglobalsquare.org. Although this concept is a great idea, not all great ideas come to fruition. Some fail during launch, others just never catch on with their intended audience. Josh Constine of Mashable outlines his comcerns writing…. By organizing via these mainstream networks instead of on a dedicated protest network, there would be no loss of momentum from planning to execution. 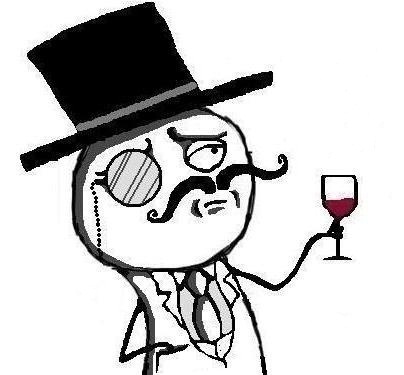 It would also make it significantly easier to onboard new members. If The Global Square and the Occupy movement at large is going to succeed, it will at least need a substantial presence on Facebook and Twitter. It might be better to build there too. Pent up discontent with Facebook and Twitter has in part been relieved through Diaspora and other existing open source social networks. Diaspora offers a great deal of flexibility in how individual, decentralized “pods” function. Working within Diaspora rather than parallel to it could be more efficient. A “Global Square pod” could also draw participation from those already familiar with Diaspora — a demographic that likely has a lot of overlap with protesters. 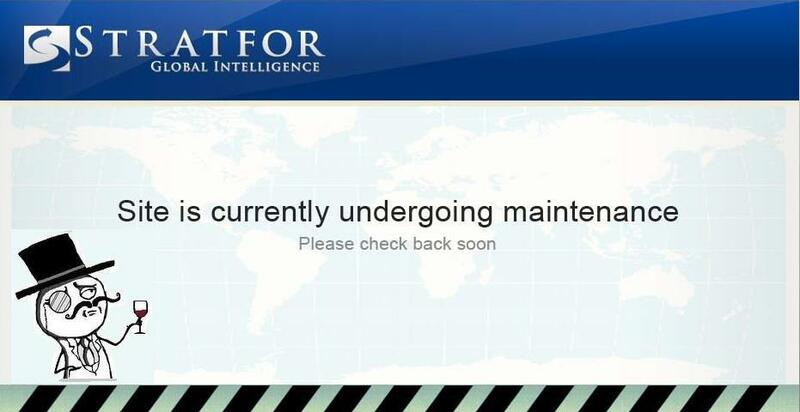 Unless data was housed in international waters, The Global Square’s data and messages would still be subject to subpoena by the government of wherever it was hosted. If located in the US where its developers reside, The Global Square could make it more difficult for law enforcement to request data than Facebook, or even Twitter which has historically been less cooperative with authorities. Still, its creators could be punished if they don’t comply with direct court orders for data. Two of 2011’s biggest attention getters are about to collide in Iowa. All year, a pack of Republican candidates have been relentlessly campaigning for their party’s Presidential nomination. Those candidates are about to run into protesters from the Occupy Wall Street movement. 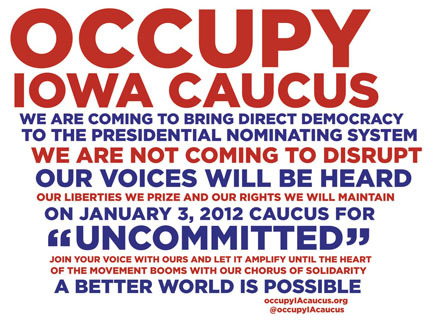 “Occupy The Caucus” organizers have promised not to disrupt the Iowa caucuses that happen on Tuesday January 3. 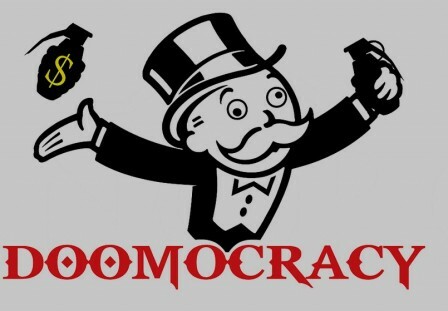 However, they do plan to “occupy” the candidate’s campaign headquarters and appearances, letting them know they disapprove of how government is allowing greedy corporations to run the country and accumulate most of the wealth. 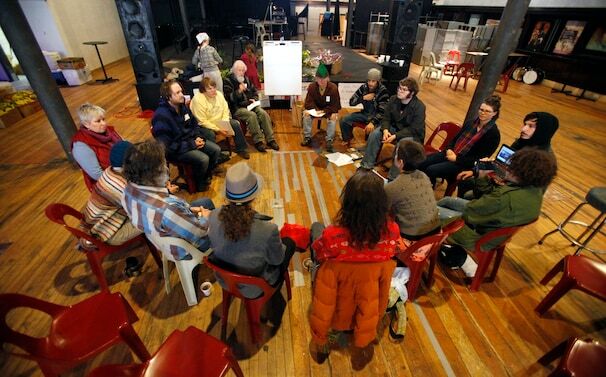 Occupy supporters met a week ahead of the caucuses in Des Moines to start organizing their actions for the week. As you can see in the video, participants broke up into candidate “preference” groups.The difference is that people were asked to stand not with the candidate they support, but with the candidate (Republican or Democrat) whose campaign headquarters they intend to occupy over this week. Wednesday, Thursday, and Friday, December 28 ? 30, supporters will go to campaign headquarters and try to ask the candidates “real questions”. Think bad thoughts about the government and you could go to jail…forever. That may sound like a Soviet-era law, but civil libertarians say it’s possible under the National Defense Authorization Act (NDAA) which is awaiting President Obama’s promised signature. The NDAA, was passed by the US Senate 86 to 13. Minnesota senators split on the act, Franken opposing and Klobuchar voting for it. OccupyMN organized a pre-Christmas protest at the Minneapolis Obama Reelection Headquarters. The act is characterized by the ACLU and many others as a major assault on the Bill of Rights. The 600 pages contain provisions that allow indefinite detention by the military of anyone, including US Citizens on US soil, without trial and without legal representation. The act makes it virtually impossible to close Guantanamo Bay. The Occupy movements in many cities other that Minneapolis have initiated actions against this act. (Nashville, Portland, Los Angeles) Military Officers have spoken out against it even though it grants the military extensive new powers. Montanans launched a recall of senators voting for it. Former FBI agent turned activist Coleen Rowley said, “This will apply to Quakers, to Catholic workers, to people that oppose the death penalty. All of these groups have been spied upon by the FBI. Ironically, this action takes it away from the FBI and gives it to the military.” OccupyMN promises more specifically targeted actions on other legislative figures. OCCUPY December 22, 2011, winter solstice music video release in celebration of light, peace and love for humanity. A music video of the OCCUPY movement created in December, 2011.